With the PyeongChang 2018 Winter Olympics officially kicking off Friday, 62 members of Team Canada with ties to U SPORTS member universities and athletic programs will march in the Opening Ceremony and compete for gold. Among them are 21 athletes that competed in U SPORTS-sanctioned sports or attended a previous Winter Universiade. We sat down with former McGill women’s hockey captain Mélodie Daoust, along with Marc Kennedy and Keri Morrison, who both competed at the Winter Universiade before achieving their Olympic dreams. 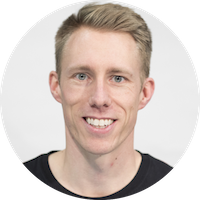 Curler Marc Kennedy first wore the maple leaf in international competition was at the 2003 Winter Universiade in Tarvisio, Italy. 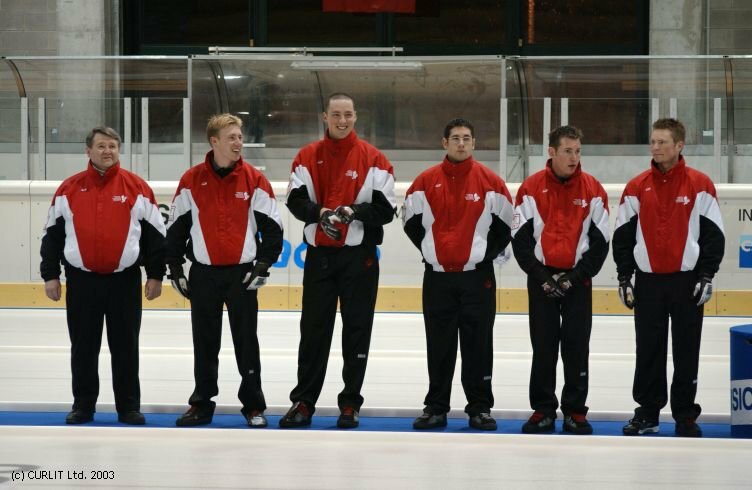 The team, skipped by Mike McEwen, won the gold medal and helped boost the profile of university curling, then in its infancy. Kennedy credits the experience with helping him become comfortable with competing overseas. “It was also the first experience I had with living up to the pressure that comes with curling for Canada and the expectations of winning,” he said. The Winter Universiade is a major international competition that draws elite university student-athletes from around the world. 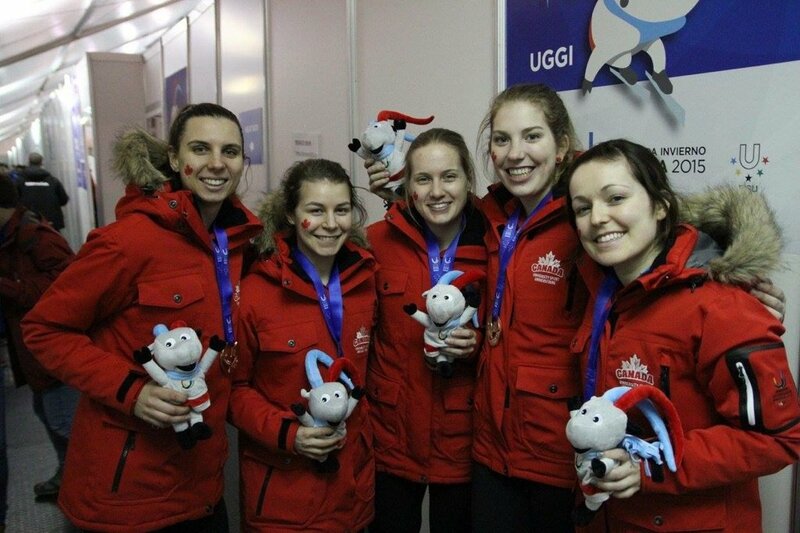 Canada has had success on Universiade curling sheets, having claimed seven medals, five in women’s and two in men’s. Kennedy feels the Universiade is a “huge stepping stone” for young curlers. The Universiade gives them an opportunity to continue growing their skills before they can jump in and play against the best teams in the world. Fifteen years after winning gold in Tarvisio, Kennedy met his former teammate McEwen in the final of the Olympic trials in December. In a nail-biting 10th end, Kennedy’s team skipped by Kevin Koe buried McEwen and company’s Olympic dreams. The win booked return tickets to the Olympic Games for Kennedy and his teammate Ben Hebert, both having won gold with legendary curler Kevin Martin in Vancouver. Canada’s men’s curling team will be looking to add a fourth consecutive gold medal in the event when they compete in the PyeongChang Olympics. The Canadians are facing an increasingly deeper and experienced field of competition this year and will have a difficult task ahead to keep the gold medal streak alive, one they have held since the 2006 Olympics in Turin, Italy. Hockey superstar Mélodie Daoust calls McGill the “greatest university in Canada.” The Valleyfield, Que., native spent five seasons with the Martlets, winning three RSEQ conference titles and making four national championship appearances. Playing for McGill was a great opportunity for me to showcase U SPORTS and all those female student-athletes in Canada that hoped to be at the Olympics one day. 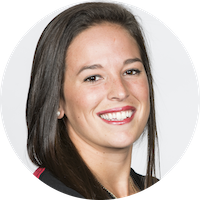 Daoust was in the middle of her degree when she redshirted for the 2013-14 season to be part of Team Canada’s centralization roster and represent her country at the 2014 Olympic Games in Sochi, Russia. A year after graduating with a degree in physical education, Daoust had some advice for incoming student-athletes. Daoust has left an indelible mark on the McGill sports community. When she won the Brodrick Trophy for U SPORTS Player of the Year in 2013 after just her second season, her coach at McGill, Peter Smith, praised her for her leadership and playmaking ability. “A strong leader by example, she practices, prepares and plays with tremendous intensity and focus,” Smith said at the time. The veteran forward will be looking to add another medal to the gold she has from Sochi when she joins the team in South Korea. Highlights: Won bronze in the 3000m relay at 2015 Universiade in Granada, Spain. 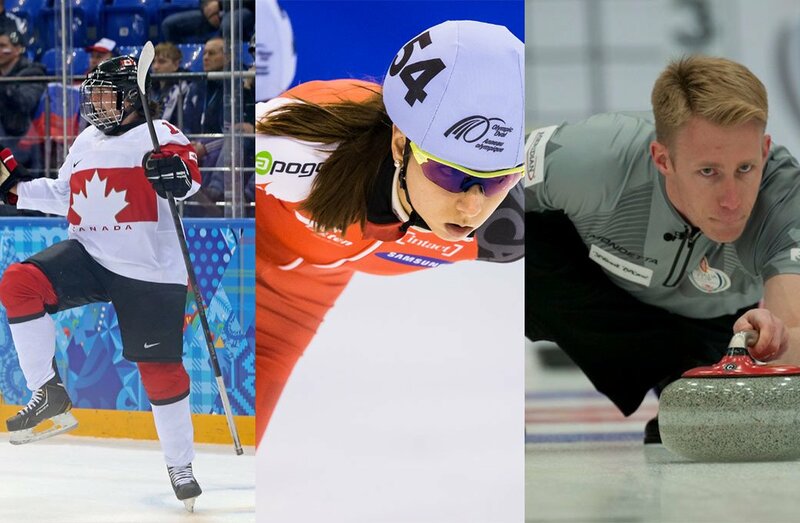 Every four years, the University of Calgary consistently has a heavy presence of alumni or students named to the Canadian Olympic Team, and this year is no different. The school is an obvious choice for athletes competing in winter sports thanks to existing facilities from the 1988 Olympic Winter Games. 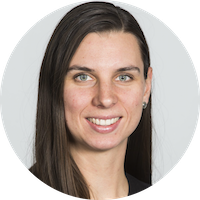 First-time Olympic speed skater Keri Morrison says the close proximity of the facilities to the campus made it a lot easier for her to manage school and sport at the same time. Although speed skating is not a U SPORTS-sanctioned event, it is often one of the sports that Canada competes in at the Winter Universiade. 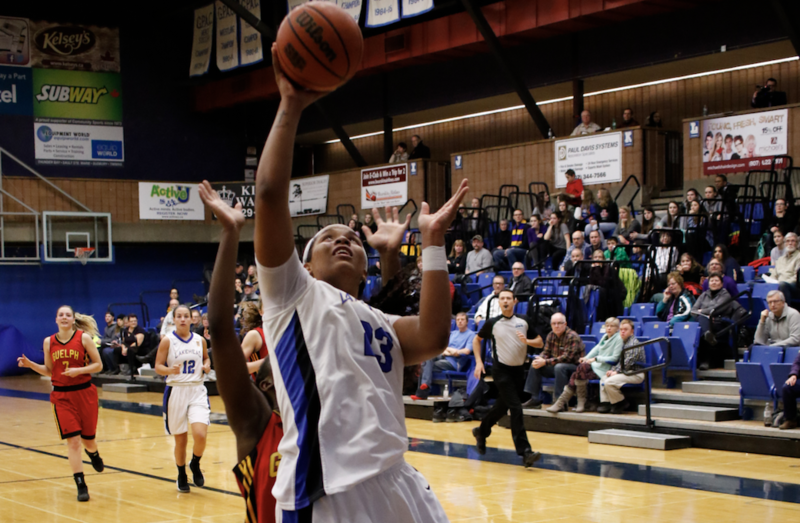 Keri got her first taste of international competition at the 2013 Universiade in Trentino, Italy. Two years later, she improved upon her performances in short track, capturing a bronze medal with the 3000m relay team and finishing fourth in the 1500m at the 2015 Universiade in Granada, Spain. To date, she says her 1500m race in 2015 is one of her most memorable. That was a really proud accomplishment for me, it kind of felt like I was racing against world cup competitors, so I was super proud to be that close to getting a bronze medal. Her parents and brother will be on hand to watch her compete in her first Olympic Games. 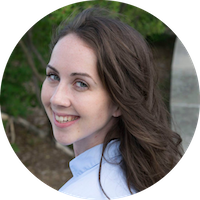 Megan is a Master of Journalism student at Carleton University. For the past seven years, she has covered university sports at the provincial, national and international level. In July 2015, she was selected as one of 12 student sports journalists from around the world for the FISU Young Reporters Program to cover the 28th Summer Universiade in Gwangju, South Korea. Megan's long term goal is to work as a foreign correspondent.